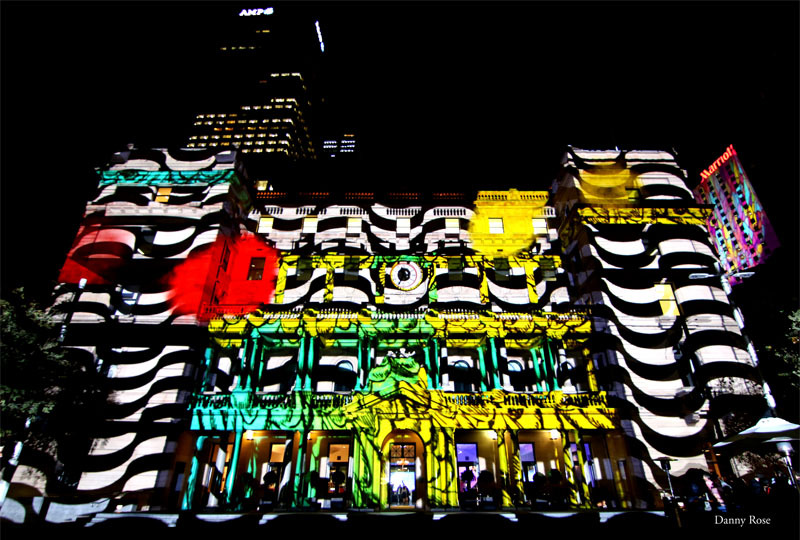 ﻿ Danny Rose | Play Me! 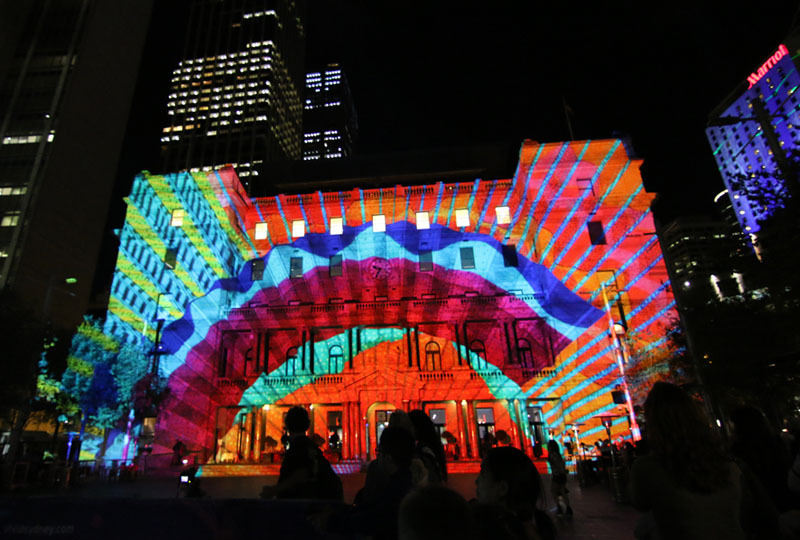 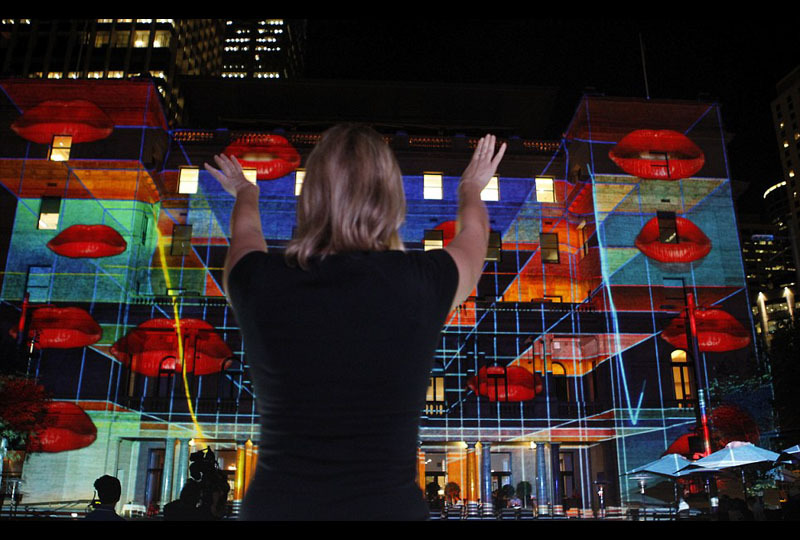 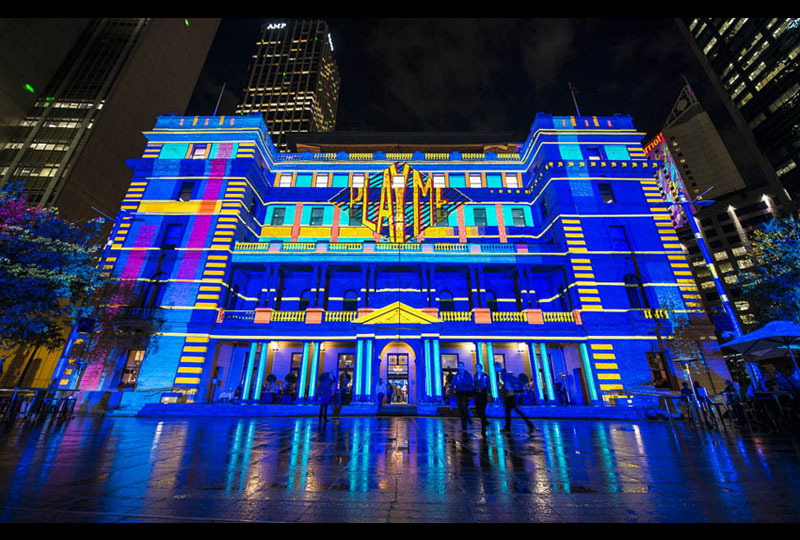 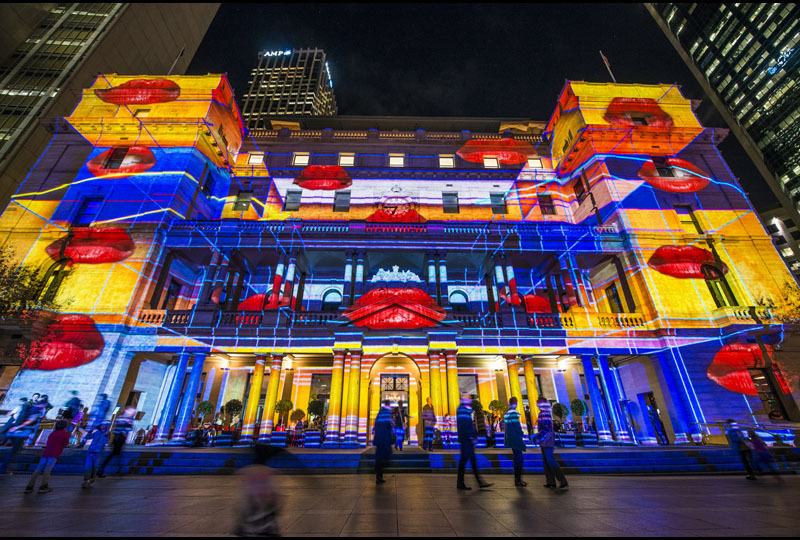 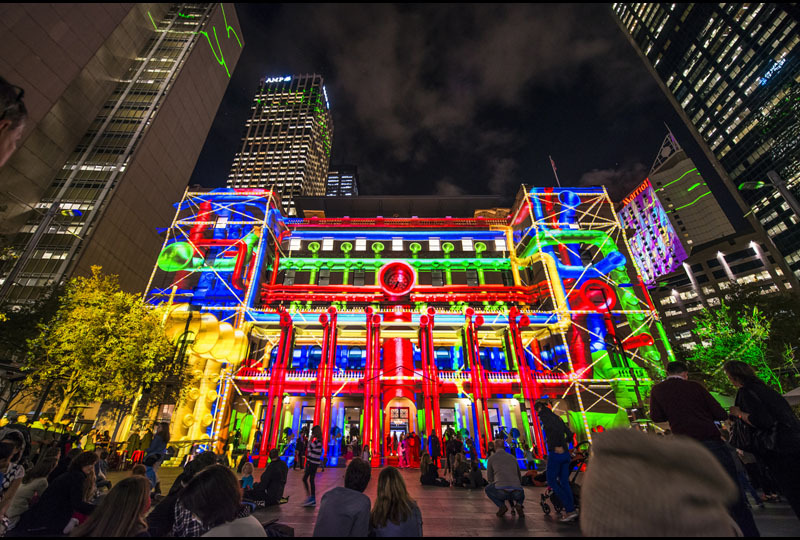 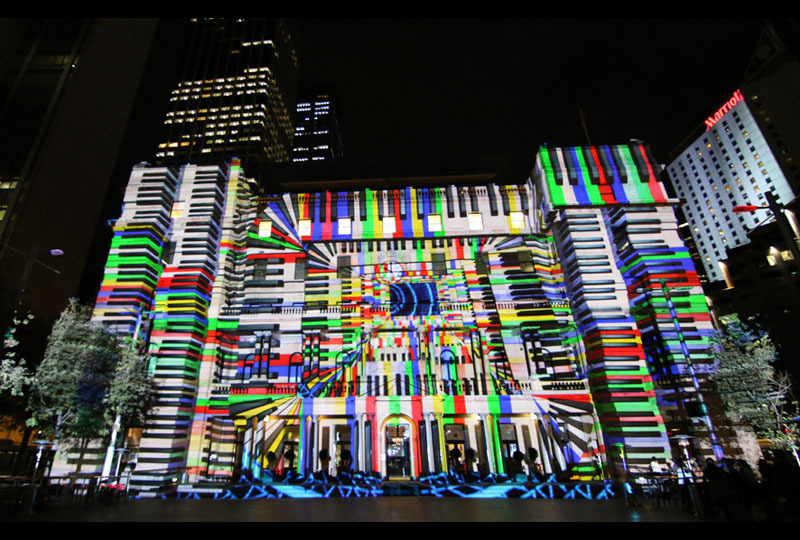 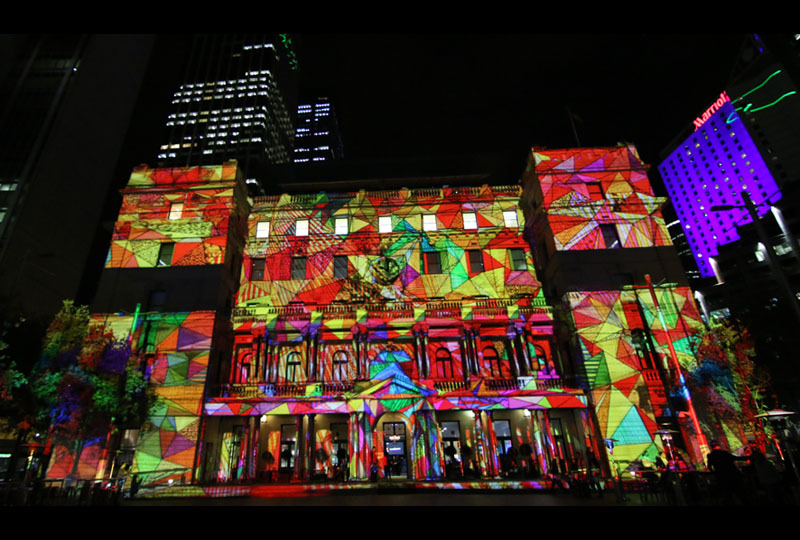 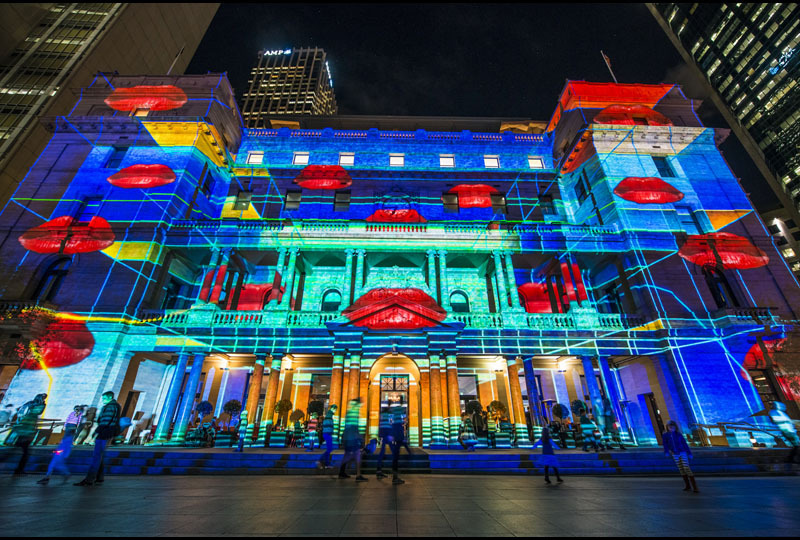 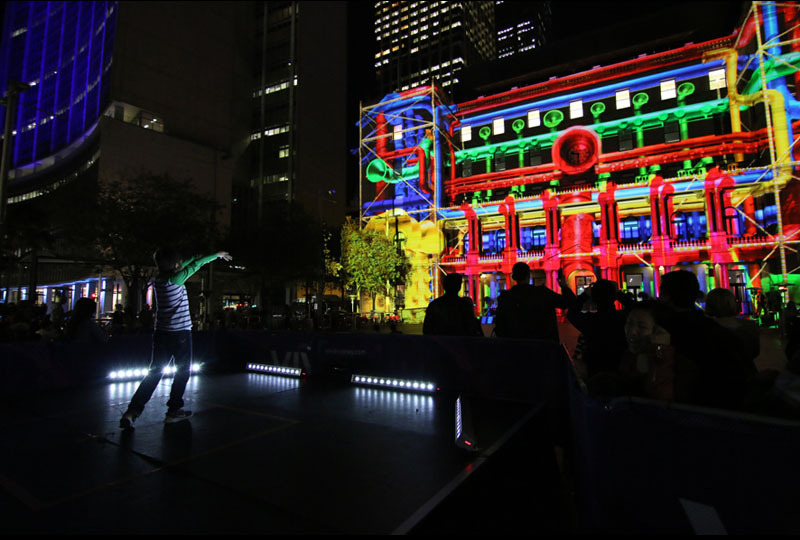 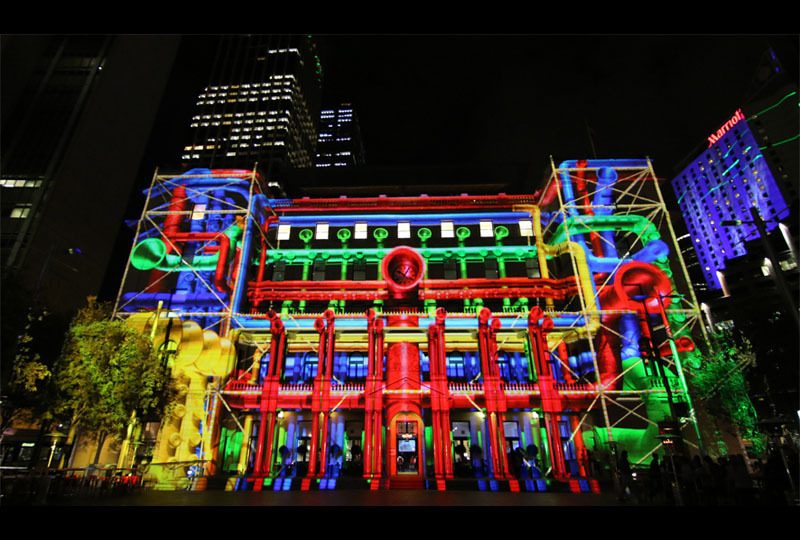 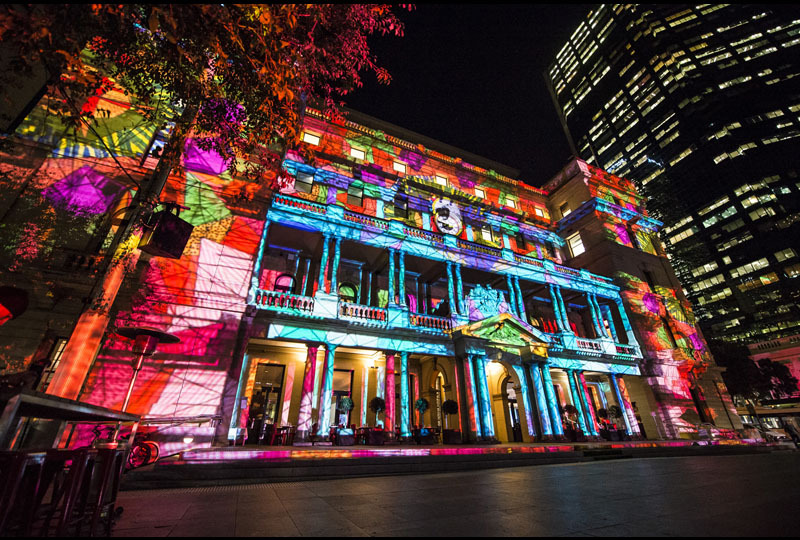 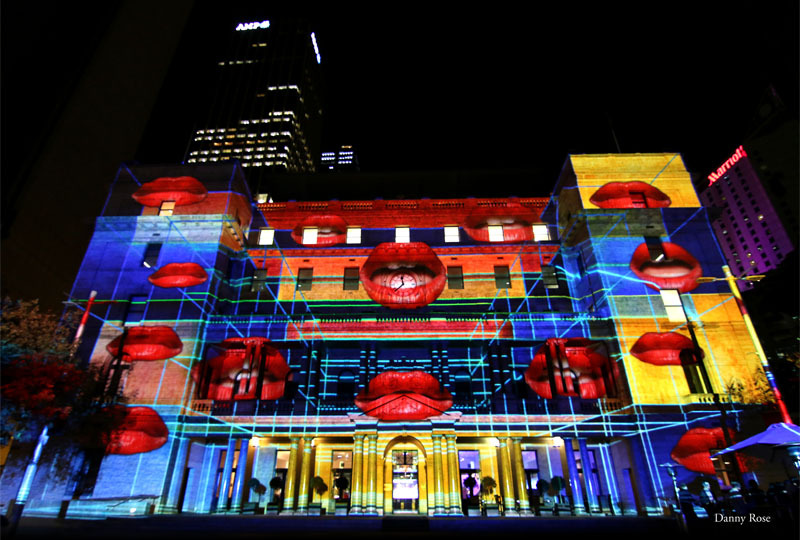 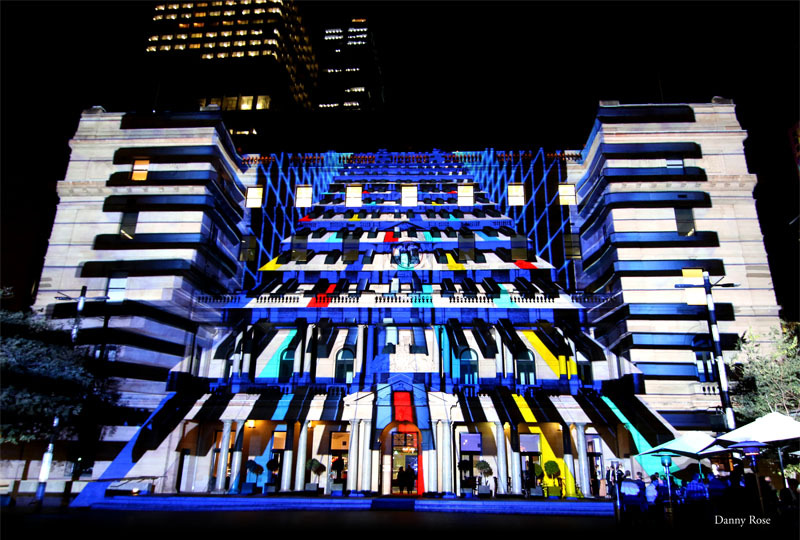 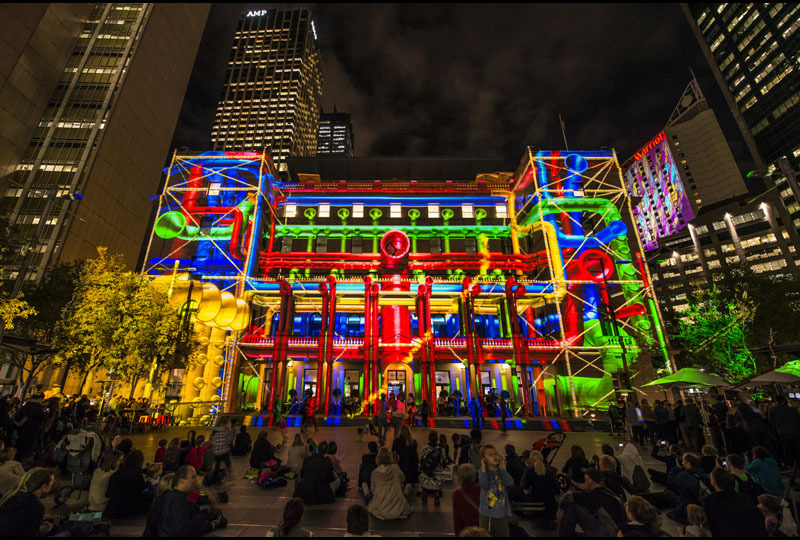 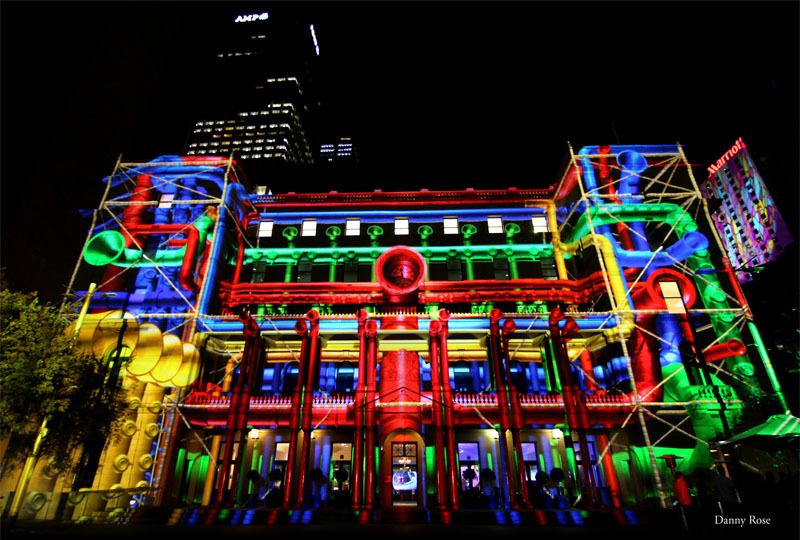 Interactive 3d mapped projection presented at the festival VIVID SYDNEY 2014. 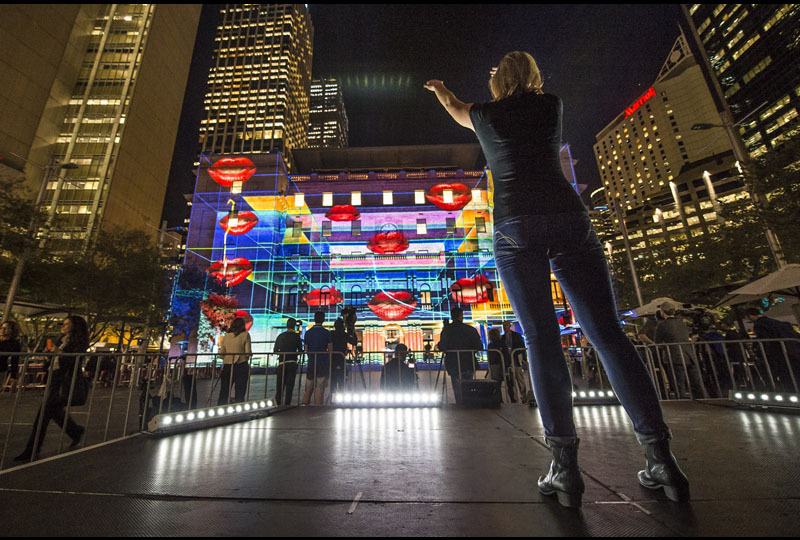 This is a playful, interactive installation which lets everybody enjoy the musical creation. 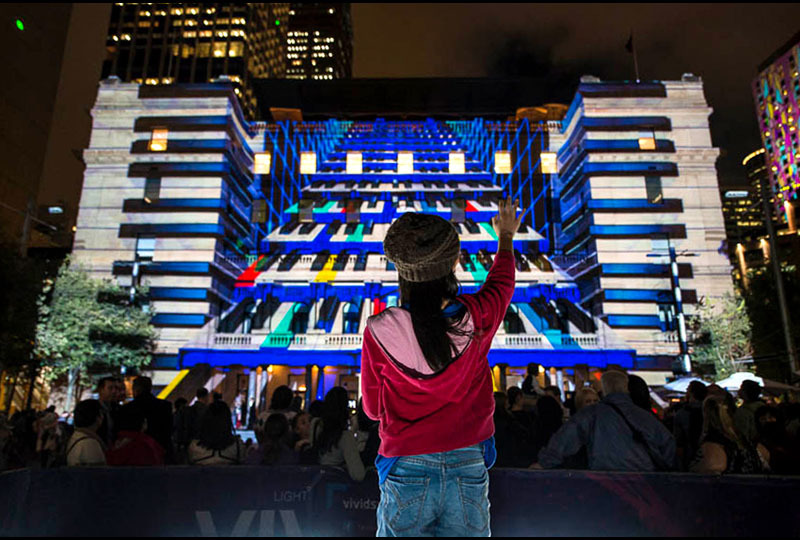 The audience is invited to "play" the building thanks to an interactive 3D technology. 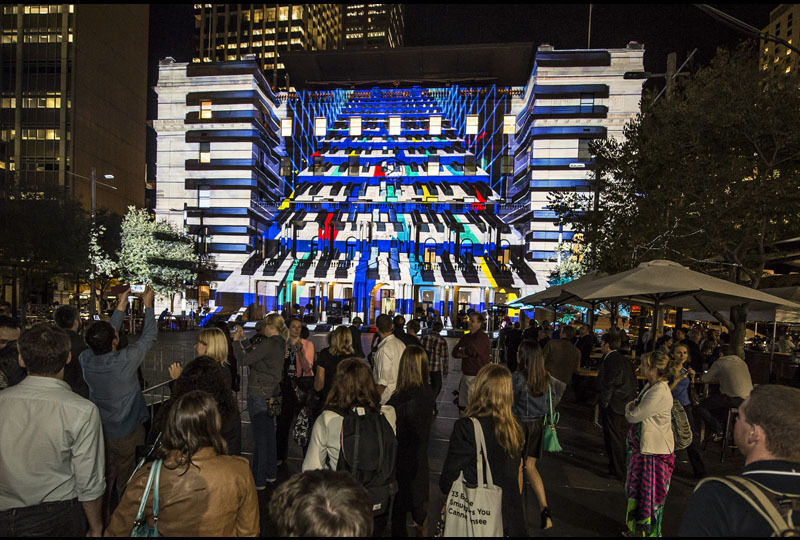 A 3D mapped projection transforms the façade into a series of gigantic "musical sculptures" which the user can "play" in real time, thanks to a 3D real time technology and a gesture recognition system.